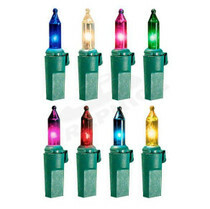 Birddog Lighting sells a wide variety of string lights to help you with lighting for many different purposes! 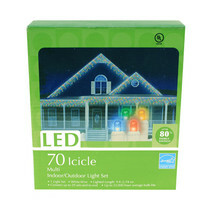 We have all the accessories you will need, replacement bulbs, and complete string light sets available for purchase. 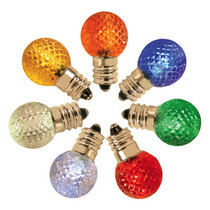 Check out one of our most popular bulbs, the orange, purple, and clear flicker flame string light bulbs. 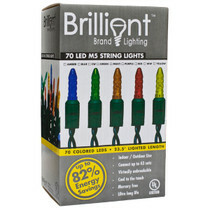 If you are looking for more traditional Christmas lighting, then try out our C9 and C7 bulbs with their corresponding strings. 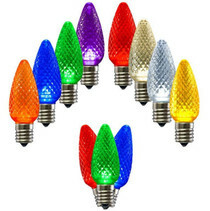 We also sell Raspberry, M5 Wide Angle, and M5 string light sets. Looking to spice things up? 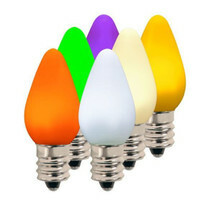 Buy our LED Chili Pepper Bulbs to bring excitement to your next fiesta! With such a vast selection of string light options, you are likely going to need accessories to fix bulbs that have burnt out or additional sockets and string lights. Birddog Lighting has you covered with many different accessories, including our newest clips, manufactured right here in the United States. 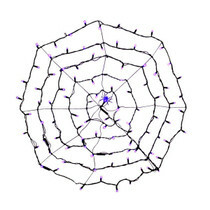 Whatever holiday or other celebration that you need string lighting for, Birddog Lighting has what you need. Most of our bulbs are rated for both indoor and outdoor use, but be sure to check the specifications to ensure our lights will work for your project.